Prizm Trail Collection. Matte Black with Prizm Trail Lens. Lead with Prizm Road Lens. 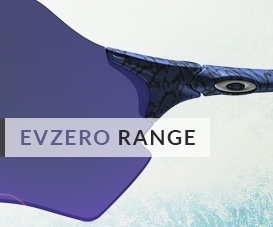 Combining the best of 2 of Oakley's finest sports performance glasses, the Evzero offers the overall size of a Jawbreaker sunglass with the one piece toric shield of the Zero. 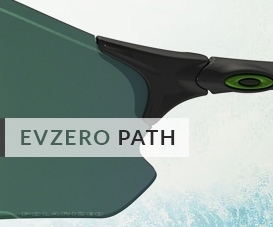 The obvious benefits to this blend ensures optimised visibility without a bulky frame to get in the way, which can be a real benefit to sports such as cycling. 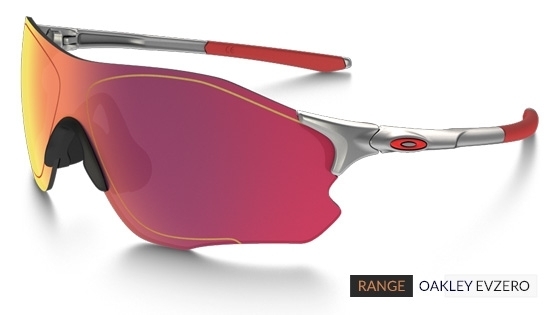 Oakley's Three-Point-fit creates an incredibly comfortable fit and the lightweight materials provide top class impact protection. 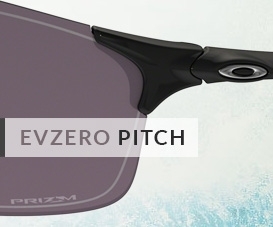 Available in 4 lens shapes, Stride, Path, Pitch and Range. 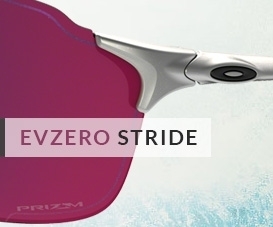 Available in a range of lens and O-Matter arms colour combinations, the Evzero is on standby for your next athletic focus.